Affect has become something of a buzzword in cultural and feminist theory during the past decade. References to affect, emotions and intensities abound, their implications in terms of research practices have often remained less manifest. 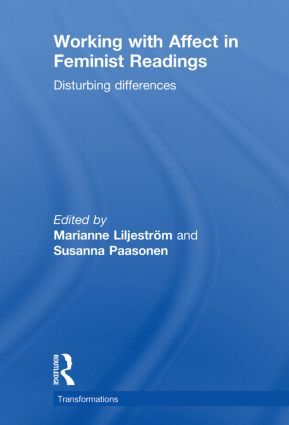 Working with Affect in Feminist Readings: Disturbing Differences explores the place and function of affect in feminist knowledge production in general and in textual methodology in particular. With an international group of contributors from studies of history, media, philosophy, culture, ethnology, art, literature and religion, the volume investigates affect as the dynamics of reading, as carnal encounters and as possibilities for the production of knowledge. Working with Affect in Feminist Readings asks what exactly are we doing when working with affect, and what kinds of ethical, epistemological and ontological issues this involves. Not limiting itself to descriptive accounts, the volume takes part in establishing new ways of understanding feminist methodology.